University Place is only seven blocks long—but this Greenwich Village street has its share of historic plaques. One marks the Hotel Albert, the spectacular Victorian Gothic “French Flats” opened in 1887 between Tenth and Eleventh Streets that was a haven for creative types before becoming a co-op in the 1980s. At 113 University Place is a bronze tablet dedicated to the New York State Militia’s Ninth Regiment, which fought in the Civil War. 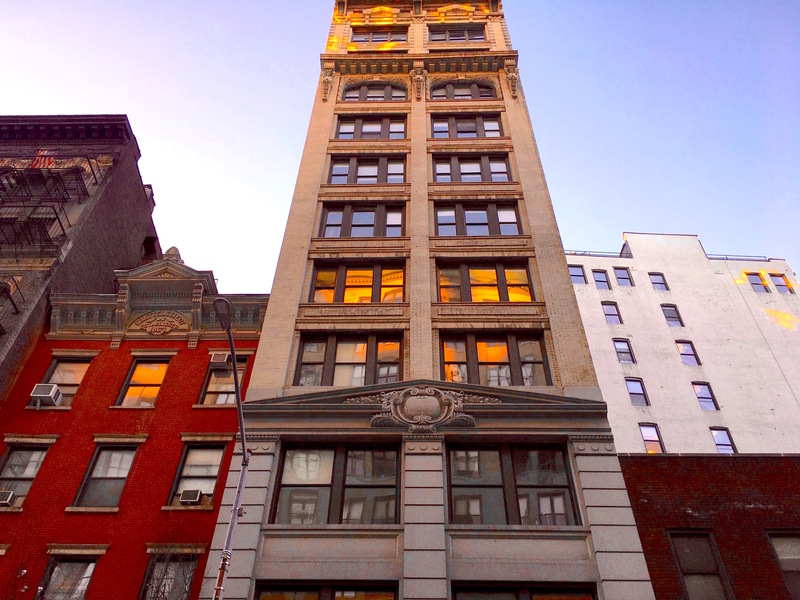 And at number 90, a sign marks the walkup building where poet Frank O’Hara lived in the 1960s. But there’s another, more unusual marker in front of the 1900s-era loft building at 88 University Place (at left) that carries some mystery. This one is a mosaic. 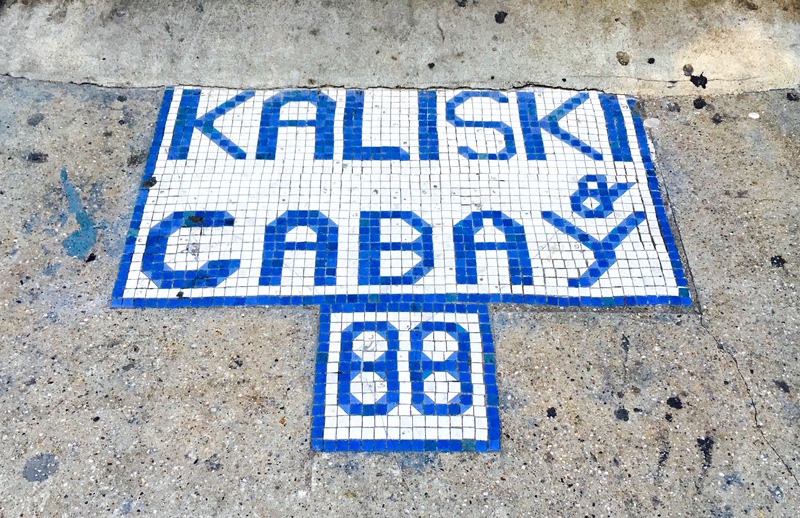 “Kaliski & Gabay 88” it reads, in a funky blue and white tile typeface. Who were Kaliski and Gabay? 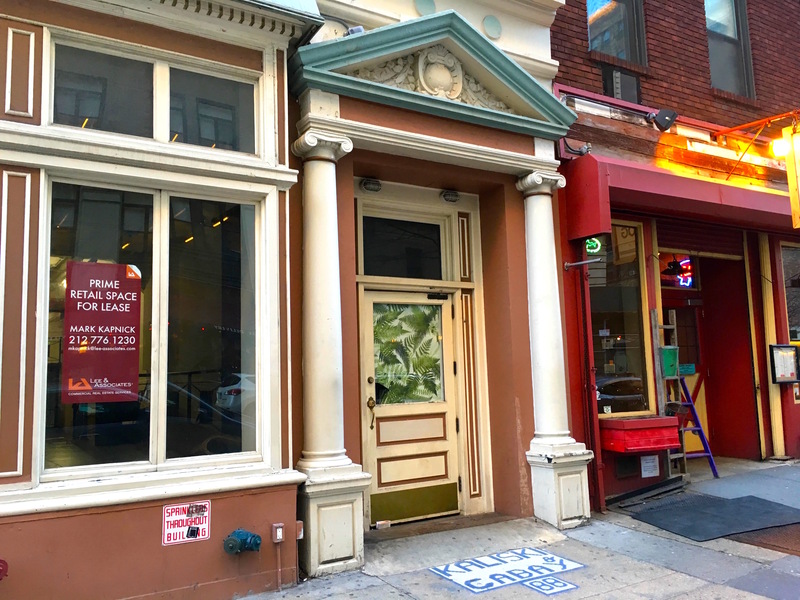 Fine arts auctioneers who operated their business here auctioning paintings, rare books, rugs, and other items as early as 1914; that’s the earlist reference I found of the fine auction house Arthur Kaliski and Richard Gabay founded. The place was really rocking in the first half of the 20th century. 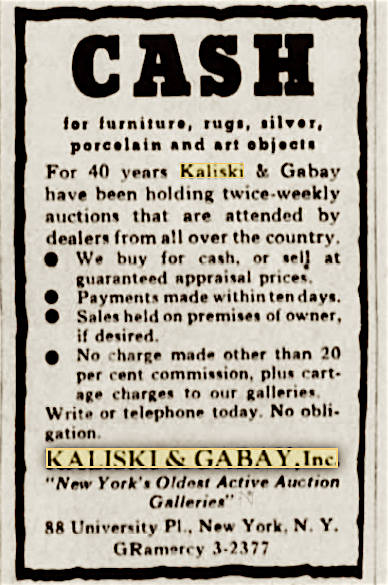 Kaliski died in 1946 at age 63, but his Brooklyn Eagle obituary stated, “his performance every Friday and Saturday, except holidays, was regarded as a good show and drew crowds of more than 200 persons at a time” to the University Place auction house. This 1947 newspaper ad makes note of their auctions (and a GR phone number!). At some point around 1950, it seems the auction house shut down. Today, it’s a WeWork, and I wonder if the workers here ever think about the names they have to step past to enter the building.